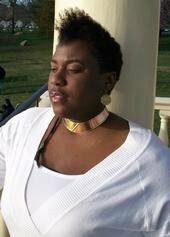 We interviewed Lacey C. Clark for the Positive Sisters edition of www.shalenadiva.com and here are her answers on life and her life’s work, Sisters’ Sanctuary. A Wholistic approach to teen girl and young women’s empowerment. This includes mothers, fathers and mentors. Absolutely. In the opening of my workbook/ journal, Celebrate HER Now!, I talk about how I too equated my self-worth with my physical sexuality. I didn’t know where to go to learn that I was more than my big legs and spreading hips. My mother was very instrumental in helping me set boundaries but my community and the media sent a clear message that women were to develop and master their sexuality in order to be valuable. My work helps young women and teen girls understand the many beautiful and powerful layers of being a developing woman. My vibration. You can feel it! I think I bring a REAL live experience and a true vibration of love. I don’t think I am better than those I serve and I think the girls can feel that. I don’t talk down to them nor do I meet them at their level. I think I connect with my audience soul to soul. My message and delivery is real, it’s honest and it is distinctly Lacey. C. Clark! My passion and commitment brings the element of CELEBRATION and joy. I think CELEBRATION, JOY, realness and love make me unique. No, not really. Pursuing your passion is the path that very few take but I know, I was born for the job. What I do, is organically who I am. I’m not a fearful person. I bartered a lot in the beginning. My experience was my certification. I taught middle school and have worked with high school students! Once I worked with the youth , I realized what the children needed from adults and started doing adult trainings. The results. I like hearing stories of how the girls live their lives now . I love hearing how people get the message and make it apart of their way of being. – Beverly J., Parent of Sisters’ Sanctuary Teen participant. Struggles: The financial inconsistencies. Im working on building more consistent streams of income. Do what feels organic to you. Learn from the legends but Celebrate your own unique style and voice. The world need YOU and not a replica of someone else. Celebrate U! Lacey, what kinds of things can we as adults do int he lives of young people to make a difference. Everyone’s busy, but can you suggest simple things we can do to make a difference?